Does not apply for groups, weddings or special reservations. Valid for stays between April 15, 2019 and September 2, 2019. Check Special Offers for more savings. Offer includes $3,600 in Limitless Resort Credit for spa, tours and more, $50 resort credit. Offer is valid for limited time only. Cannot be combined with other offers. Special offer includes $3,600 in Limitless Resort Credit for spa, tours and more, $50 resort credit. Offer includes Free Stay for kids. Valid for limited time only. Offer includes $50 resort credit. Discount includes Free Kids Stay. Cannot be combined with other deals. Promotion is combinable with other current promotions and with the Balearic Islands’ residency promotion. 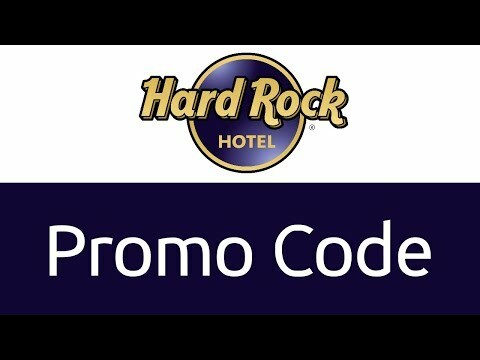 Enjoy the additional discount on your vacation at the Hard Rock Vallarta Hotel, Dominican Republic. Promo code is valid for limited time only. Some restrictions apply. Stay between 1st April 2019 & 31st December 2019. Travel by 04/30/2018 & Book by 02/28/2018 at 10AM PT. Some exclusions apply. 2. Pick a location of your choice from the varieties of locations they have to offer. Click on “Book now”. 3. When a new page opens, fill in the details of your booking, that is, dates, how many rooms and the number of people. Under the heading “Special codes”, type your code into the field “Corporate / promotion code”. Click on “Check availability” to continue your booking. With facilities ranging from Chicago, Illinois to Penang, Malaysia. Hard Rock Hotels allows you to have the ultimate experience of your life across the globe. With 21 locations worldwide, Hard Rock Hotels offers an eventful stay with activities including gambling at Hard Rock’s casinos, playing a guitar delivered straight to your room, and much more. Whether it is exploring the nightlife in some of the most major cities the world can offer, to enjoying the sandy beaches in Ibiza, there is always something to keep a smile on your family’s face. Not to mention, kids are always welcome with various activities offered and encouraged.